But discord and personal sentiment alone isn’t enough to keep prices above zero, according to research from Wang Chun Wei, Ph.D., a finance lecturer at the University of Queensland in Australia. According to Wei, if it was easier to bet against cryptocurrency prices through short positions – when someone borrows, then sells an asset with the expectation of buying it back at a lower price in an effort to make a profit on the difference – more of those assets would go to zero. “Daily volatility of bitcoin is around four percent. This is too high to be simply based on informational changes in fundamental value,” Wei, who previously studied whether Tether’s controversial stablecoin, USDT, could be used to prop up the price of bitcoin, told CoinDesk. As such, to investigate a better explanation for this observation, Wei looked at coins that most people would agree should be worth zero: cryptocurrencies believed to be either jokes or scams. His latest investigation into crypto values, first published in October, confirmed a longstanding theory of finance – something called the resale option hypothesis – at least partly explains why cryptocurrencies are valued the way they are today. The resale option hypothesis, which originated in 2003 from Princeton researchers Jose Scheinkman and Wei Xiong, argues that an asset tends to favor the most optimistic participants in a market (those with long bets) when two conditions persist: lots of disagreement about price and impediments to shorting the asset. “Both conditions exist in the crypto market,” Wei said. Without easy ways for people to short then, the market favors the long position. While Wei conducted his study on altcoins – particularly those with shady reputations – he reasoned that what he found should also explain some of the strangeness behind bitcoin’s price movements. For much of its history, the exact reasons for bitcoin’s price moves haven’t been readily apparent – these fundamentals mysterious even to the most devout maximalist. Wei studied three baskets of cryptocurrencies: mainstream coins, alleged scams and outright jokes. The mainstream basket included seven cryptocurrencies, such as bitcoin, ethereum, litecoin and XRP. The list of less-than-savory coins included the Ponzi scheme-tied Bitconnect, Urocoin (originally pitched as a coin for farmers) and ParagonCoin (a cannabis industry everything-coin). The joke-coin list featured dogecoin, RonPaulCoin and Useless Ethereum Token (UET) – the latter which wasn’t a true “scam” because its creator was forthright about his intention to take investor funds and run. According to Wei, differences of opinion help illuminate why joke coins tend to hold on to their price a bit longer than cryptocurrencies identified as fraudulent. While fraudulent tokens might hold onto their value even as suspicions mount, that eventually changes as the hustle is definitively revealed. “Once it becomes crystal clear that there’s no fundamental value, then you lose belief dispersion and the resale option value plummets,” Wei wrote in the paper. But if a coin was made in jest – without maliciousness – who’s to say it couldn’t be viewed as valuable regardless? he reasoned. So, how can this price effect be seen for the cryptocurrencies with bigger market capitalizations and wider network effects? Resale option value is, in itself, difficult to pin down. “There’s no precise way of calculating resale option value,” Wei wrote. In his paper, he tested “the statistical significance of the interactions between turnover, traded price and realized volatility” to infer a value. And based on that analysis, the hypothesis does apply to more mainstream coins. 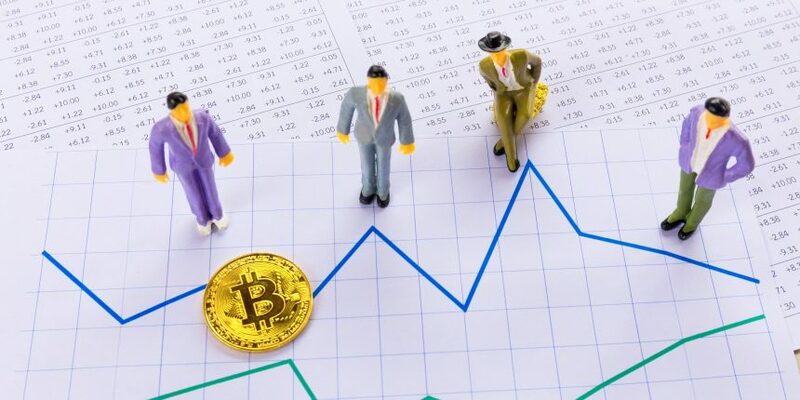 Indeed, according to Wei, the market got something of a real-world test of this idea recently as bitcoin futures began to trade on major markets starting at the end of last year. Shorting options will soon expand for other cryptocurrencies as well. For example, Dydx is offering tokens for shorting, and crypto startup Compound has created a borrowing market that can be used for shorting coins. If Wei’s analysis proves accurate, that could increase pressure on more of the tokens that have been able to maintain higher prices.